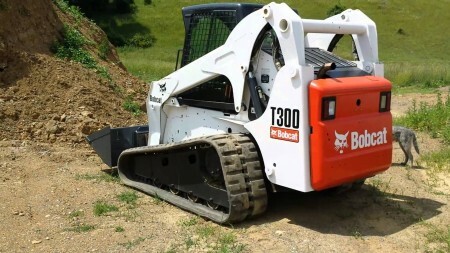 Experience the incredible power and smooth ride of the T300 compact track loader. It’s defi nitely the right loader for the toughest applications. The T300’s dedicated rubber track system keeps you working in soft, muddy ground conditions, easily handling the toughest jobs. 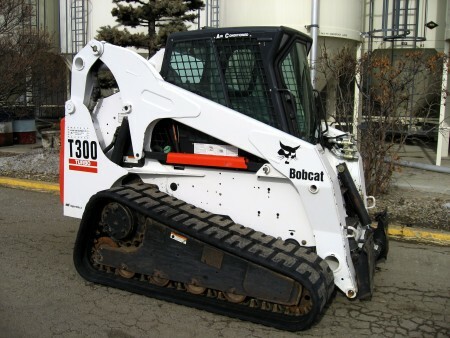 A wide choice of Bobcat attachments adds to the productivity and versatility of this operator-friendly, cost-effective machine. 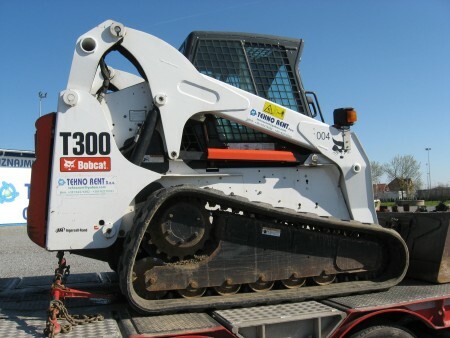 Like all Bobcat loaders, the T300 is designed for unsurpassed toughness, dependability and serviceability. The T300 cab is operator-friendly, designed for maximum comfort and functionality. With its larger cab opening, the loader is easy to enter and exit. The innovative seat bar pivots from the rear, providing secondary restraint protection and serving as a comfortable armrest for operators of all sizes. High-output halogen headlamps double the amount of illumination to the work area for better operation in low light. The T300 also features a new, easy-to-read, highly functional instrument panel, along with a number of value-added options. Air conditioning is available in the fully climate-controlled cab.